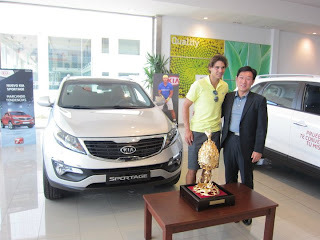 Rafa has received a gift from Kia here is the description of what it is along with the photos from their facebook page. "Kia Motors has given a replica of the Gilt bronze Incense Burner of Baekje, a National Treasure of Korea, to Rafael Nadal, Kia’s global brand ambassador! On top of the burner, a phoenix, which appears as if it is ready fly away, is holding a cintamani ball. It is a magical jewel that is said to grant all wishes. 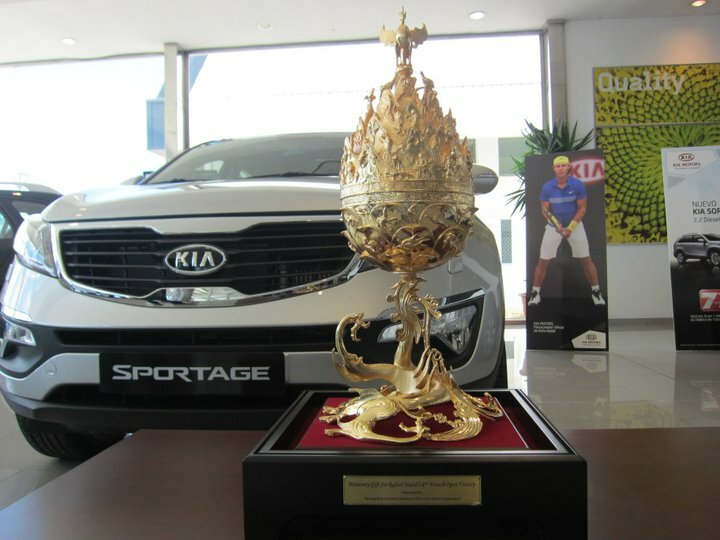 This presentation symbolizes Kia’s continuous support for Nadal and the hope that victory will always go to our friend! 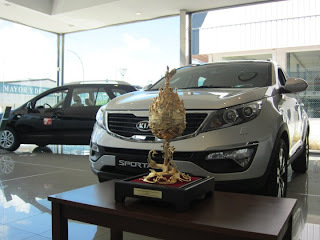 What do you think of the incense burner? 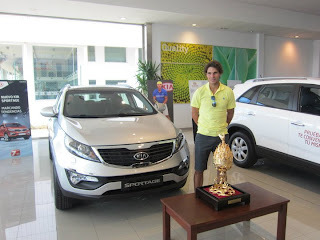 Doesn't it look like a trophy?" Rafa updated his facebook with the photos. 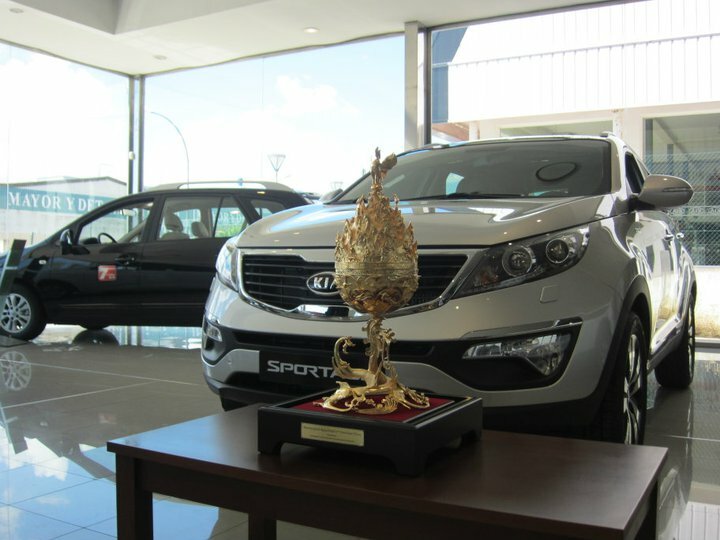 "Today I received a very special trophy from my old friend, Kia Motors.It’s actually an artifact from Korea called Gilt bronze Incense Burner of Baekje. 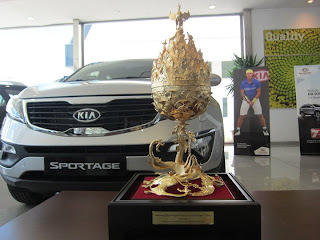 There’s a phoenix holding a cintamani ball. 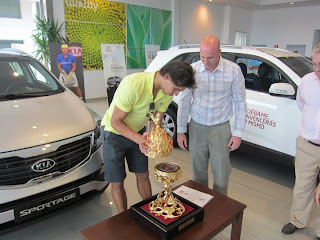 It is a magical jewel to grant all wishes.Fans, tell me your wishes and I’ll make one wishes for you! ;) Rafa"